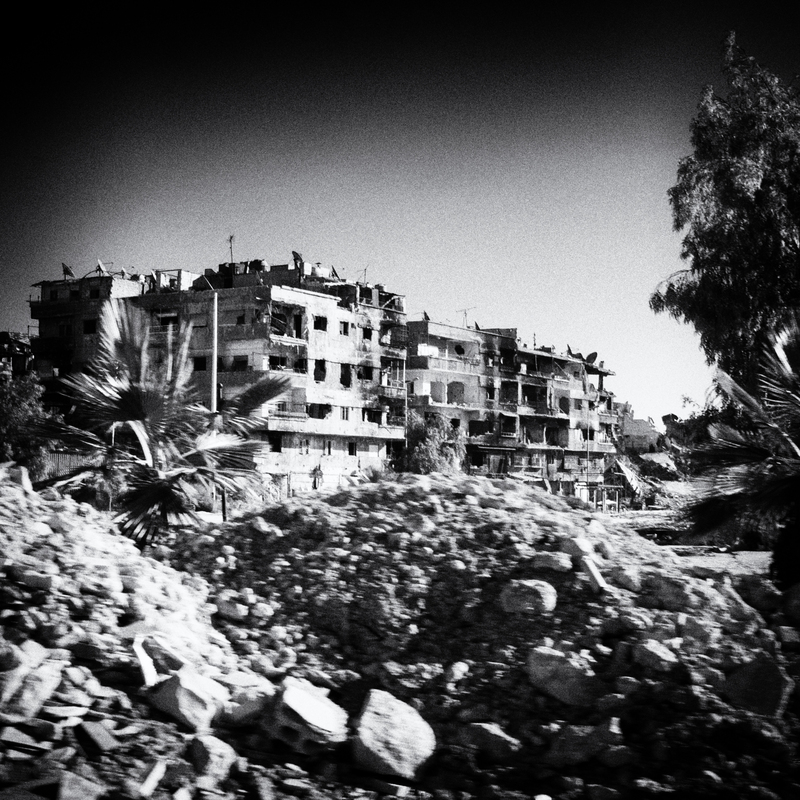 In May of this year, I traveled again to Damascus, Syria, with the al-Wafaa campaign – a Europe based Palestinian NGO. This time I didn’t fly straight to the war zone in an old Ukranian cargo plane, but we flew to Beirut and from there we went by car. That is a 3 to 4 hour trip, which includes border crossings. It’s actually easier to enter Syria than to cross from Costa Rica into Panama over land. I shot a lot of video that, unfortunately, hasn’t been used for anything. I still have to edit a short spot from it for al-Wafaa. Circumstances in Damascus were pretty much the same as they were when I was there in December 2013. The same checkpoints everywhere, the same drone of cannons in the evening, and even more refugees stacked in anything that can remotely serve as a shelter. Everything went pretty well, with the only upheaval being when I had climbed on top of our car to film our convoy and soldiers at a regime checkpoint, thinking I was filming them, fired some shots over my head. They then came running towards us. However, we had our own soldiers with us to protect the convoy, and after some heated debate, hands were shaken, apologies were made, cigarettes smoked and we were on our way again. We did not get into Yarmouk, but we delivered food packages to its residents, who had to come pick them up in a neighborhood called Yalda, which is right next to Yarmouk and controlled by the Free Syrian Army, such as it is. Yarmouk itself is tricky. ISIS invaded – causing more people to flee – and although they have been thrown out, supposedly, there are still ISIS snipers roaming around. Many people told us about beheadings and other such mayhem. I did manage to take a fair amount of photographs in between filming. Here’s a selection. Who are financing and trainning rebels & ISIS?